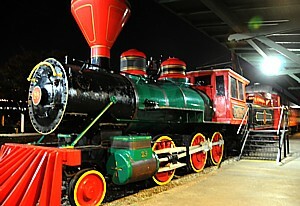 Who would have thought that Chattanooga, Tennessee, with its famous train, is also the place to go on a Spring Break Safari? Become an animal keeper kid and feed and mingle with sharks, penguins and sea turtles; spelunker deep in a cavern; RockQuest adventurer on an enchanted trail; riverboat captain and navigate the Tennessee River; an art explorer and uncover hidden treasures; a conductor aboard a traincar or on a trolley; a detective exploring waterways & dinosaur digs or a culinary creator whipping up sweets. Your Spring Break Safari in Chattanooga is anything but ordinary. We’ve transformed the city into a place where kids rule and adventure is everywhere. Kids can’t resist hands-on activities designed just for them. Traveling with teens? Family vacations can sometimes be tricky to find activities for everyone to enjoy. Chattanooga offers plenty of thrilling adventures just for teens. Mix it up a little with a variety of activities like the new zipstream aerial adventure or zipline, rock climbing (indoor & outdoor), paintball, laser tag, balladium, go karts, skating (skatepark), biking, rappelling, and maybe even hang gliding at 2,000 feet in the air. Now that’s something to brag about to friends! Savvy vacation planners know that Chattanooga is an easy, hassle-free and affordable place to spend Spring break. Downtown is just the springboard for everything else you will do in Chattanooga, with plenty more adventures just 5-15 minutes away. Once you get here, park your car, navigate downtown on the Free Electric Shuttle and get started on your safari!